The obvious choice for what to do with a button is to stitch it to a piece of clothing to get a blouse closed or your britches pulled up. That is unless you are Susan Beal. If you are one Mrs. Susan Beal you use buttons to adorn curtains, make jewelry, deck out hair clips and more. These are not your typical utilitarian uses for buttons. 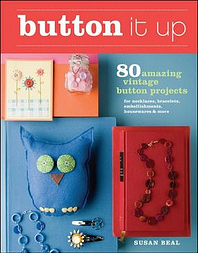 Button It Up: 80 Amazing Vintage Button Projects for Making Necklaces, Bracelets, Embellishments, House wares and More is a book that will make you want to dip into your button stash. All crafters have one that includes those extra special vintage buttons that we have been saving for just the right project; well I promise this book will have that project. Now given I am biased with Button It Up. If you peak at the back cover of this colorful book from Taunton Press you will spy a perky little covered button necklace on some polka dotted fabric made by yours truly. I love using button covering kits and vintage fabric to make jewelry so when Susan asked me to contribute a project for the book how could I say no. 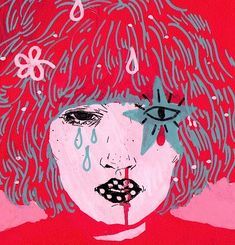 Besides myself there are over 20 other guest contributors. 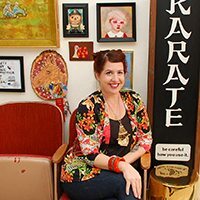 Look for crafters like Leah Kramer of Craftster, Kayte Terry of Complete Embellishing and Nicole Vasbinder of Queen Puff Puff. I love books with guest contributors it always adds to the variety of projects and this book has tons! I am one of those people that loves buttons and has oodles of them. There are projects inside Button It Up special enough for that expensive Bakelite button you have been saving and also projects like the Button Tree by Sarah Johner that will help you finally get rid of all those excess mother of pearl buttons you seem to have the mother load of. Speaking of the mother load of mother-of-pearl buttons another project in the book I am super smitten on is the Button Embellished Handbag by Linda Permann. 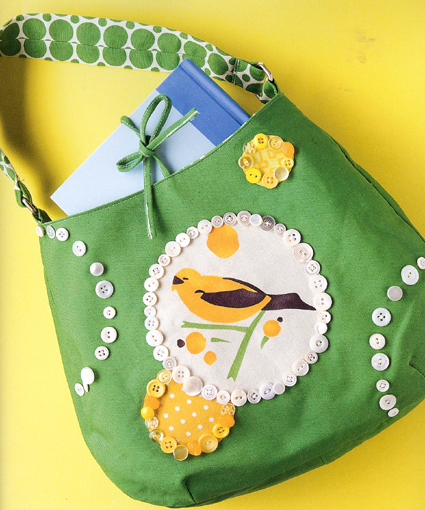 The colors, the polka dots, the perky little yellow bird and of course the buttons all make me love this purse. 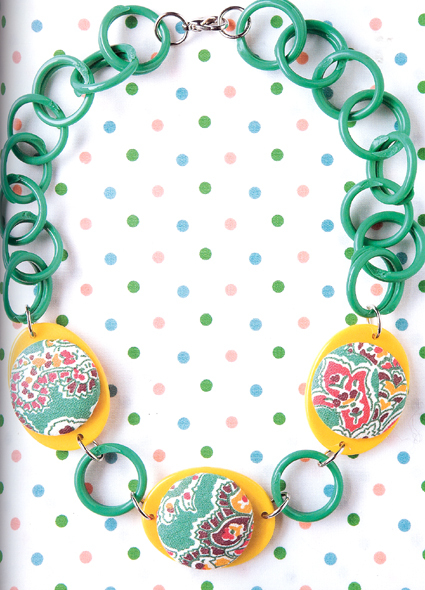 As you know I am a jewelry kind of gal, but the non-jewelry projects in Button It Up are what really seem to speak to me. Since I have recently discovered a love of embroidery and have always had a thing for making handmade cards the Button Stationary Set by Kayte Terry is a project I will be finding the time to make. I love the cute flowers and combinations of materials and textures. 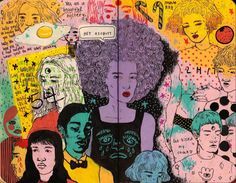 Also in the same combination vein is the Button Collage by Alicia Paulson. 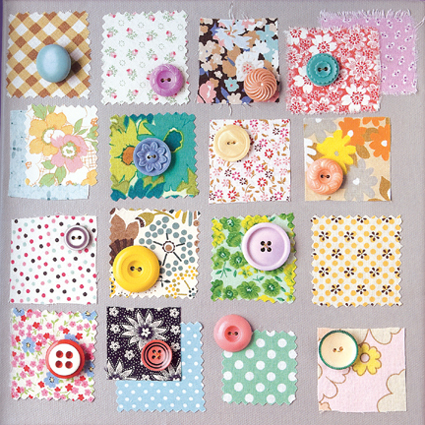 These fun little art pieces will not only put my random buttons to good use, but also my scraps of vintage fabric. If you are looking for a clever way to unload some of your button stash, Button It Up has 80 different awesome options for you. Some you wear, some you hang, others you mail – but all are cute as all get out. Lucky you we have an extra copy of Button It Up to give away. All you have to do is leave me a comment about buttons and you could win! Tell me where you get your buttons, what you do with your buttons, anything about buttons enters you to win. You have until next Tuesday to leave a comment! Posted May 19, 2009 & filed under Books, contests, Jewelry. I’ve been trying to build a button collection via thrift stores for ages! I actually hit the mother load a while ago -a gallon-sized bag filled with all sorts of buttons for $2.50- and someone took it out of my basket! Alas. I’ll have to keep hunting. I just finished seperating all of my buttons by color! This would be a great way to put them to use! & i am NOT kissing up, but i LOVE your daughter's name- LOVE LOVE LOVE it!! I collect buttons from anywhere I can get them – thrift stores, yard sales, and I always cut them off clothing which is past wearing. I love making all sorts of things and include buttons in a lot of projects, most recently a plushie, a picture frame and a handbag. Buttons rule! To make a fleece jacket I made more interesting, I created a peace sign out of buttons on it. I am planning on sewing a few on the collar as well…..I LOVE BUTTONS! So simple yet so versatile. I usually buy my buttons in lots on ebay or at the antique fair we have in Sacramento on Second Sundays. Vintage buttons are my favorite! This book looks like sooo much fun! I have made earrings with buttons. Just a simple button with a post back. I love the necklace you made, the colors are gorgeous! I just picked this book up from the library today. 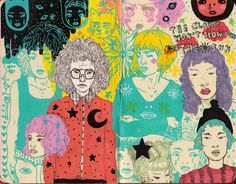 I’d love to own a copy. Most of the button jewelry was too buttony for me, but I loved the non-jewelry projects. My stash isn’t too huge – a couple shoe boxes full. I can’t believe what happened to Corvus – a deal like that stolen from her cart. My friend has just completed a button mirror and inspired me to do the same! So my stash of buttons will be put to good use in coming weeks when I decide what household item in my new house will be buttoned!! Now where’s that cheap old frame I’ve got lying around somewhere….. I have tonnes of buttons but haven't gotten around to making use of most of them yet. I've made some jewelery with a really great package of coordinating blues & greens buttons I found last summer at WalMart, and I've used some cooler older buttons as clasps for some crocheted bracelets. What I need is a book like this to motivate me to use my stash! I was blessed with my great grandmas button jar when my Granny passed away. Unfortunately some of the buttons were just too brittle to use or even save. But I have used a couple of bakelite buttons for peyote stitch bracelet closures. I also buy buttons at flea markets and stores if they are just too awesome to pass up. OMG – vintage buttons! I have an enormous stash. My most favorite ones came from a woman at work… she gifted (!) me her elderly mother’s entire collection. I also got some really special rhinestone buttons in an eBay lot. They weren’t pictured and I don’t know if it was an accident that they were included, but very lucky for me. I’ve been collecting buttons for years. Get them super cheap at the thrift shops. Love the tiny mother of pearls and the candy colored plastic ones from the 50’s! I have bowls filled with them around the house and add them to my projects whenever the mood strikes. We’re button hoarders around here, too… well, at least my better half is. Buttons, Buttons, Who Has the Buttons? Well – I have some. I have some from my mom, from yard sales, from online auctions and from thrift shops. I have some from old clothing. I have tins to keep them in and I love them! TY for the chance to win this terrific sounding book!!! I recently purchased a great collection of antique buttons still on their sample cards from the manufacturer….I would love to put them to good use and enjoy them!! I have so many buttons from over the years, at least 3 generations worth of buttons and they are really interesting to look at. What fun projects to put them to good use! I have a huge jar filled with buttons from my GreatGrandma’s stash. She passed it along to me, with her vintage Singer and all her fabrics. I’ve been trying to come up with something to do with them! 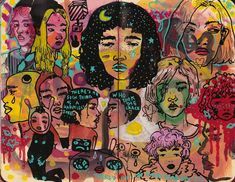 This book will be the perfect inspiration. When I moved out of my parents’ house into my first apartment, my mom gave me a quart jar full of buttons. It was the start of my very own button stash. I use them for jewelry, clothes, embellishments on purses, and anything I can get a button to stick to! My mom was (and still is) always sewing in her spare time. She’s got a huge stash of fabric that could take over the entire house, but she’s also got a nice size button stash. As a kid I would always grab some and play around with them, make pictures on the floor or something. There were so many neat colors and types. I’ve collected vintage buttons for years in an old Strawberry Shortcake tin, and recently started using them to make necklaces and earrings! It’s a lot of fun, and people really seem to love them! Buttons make me happy in my heart. I have bunches of them that were passed to me from my grandmother, and I’ve bought many along the way.. At one point I wanted to organize them by color and got well into that project when I decided that digging through the big tub of buttons to find just the right one is half of the fun! My Great Grandmother actually worked in button factory. My Grandmother saved a lot of the buttons and passed them down to me. I haven’t made anything with them yet. I’m still in search of the perfect button craft. My grandmother had the best button jar – coffee can, actually. I was hoping she’d bring it with her when she moved to CA with us, but she said she got rid of that “junk.” My mom just recently got me a tin full of buttons at a garage sale. There’s some really interesting buttons in there! One is almost 2″ across! I’ve been using some of the (smaller!) ones to make rings. I love those cards! Just made Mother’s day cards with buttons that look similar. 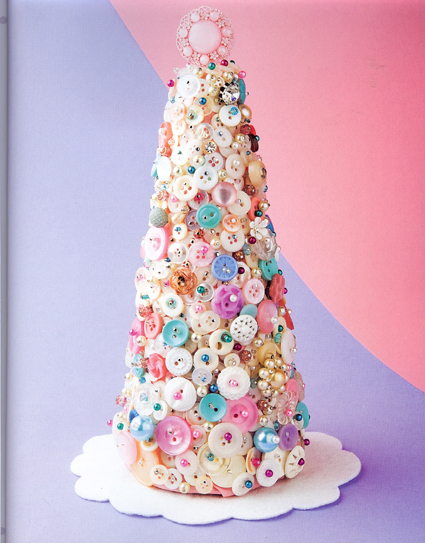 I love how the simple and plain buttons can make something so extraordinary! I have a caramel bucket full of buttons (we already used the caramel for apples…)! I love using buttons to embellish quilts…to make jewelry with, and right now…for distracting my 2 year while I get some sewing done! She dumps the entire bucket out on the floor and organizes them in piles, puts them in other containers, etc…. It keeps her happy and it keeps me crafting! I find it interesting that so many of us got our buttons from our grandmothers, myself included. I wonder where our grandmothers got them from. I guess people just sewed a lot more then. We do it for fun and to craft now, but I’m sure during the Depression and such you had to sew things when you couldn’t afford to buy new. Plus sewing clothes was so much more common place then. Growing up I would just stare at my grandmother’s button collection. She kept them sorted by color in used spice containers on an old spice rack. Not only were they sorted by color, but the colors were in order of the color wheel, so they just flowed. I have always wanted to do that myself. 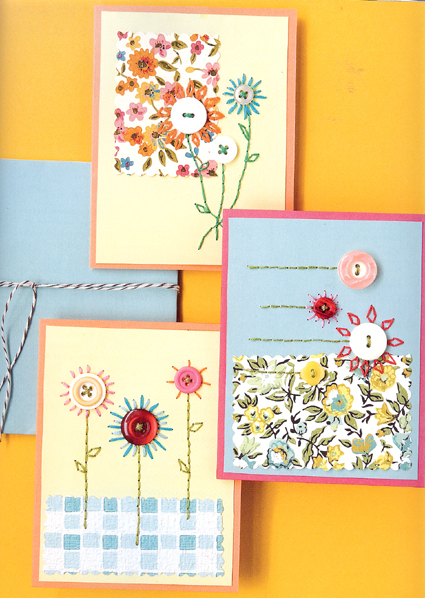 I love button projects: cards, table clothes, etc. Ya know the other thong I notice is that a lot of us hoard buttons. Saving our best ones for just the right project that never seems to come along. We need to think of a clever way to display our button collections besides keeping them locked away in jars, tins and drawers. Wish I could see that color wheel coated display that sounds dreamy. I buy buttons just because I like the way they look and/or feel, not because I need them for anything. I get them everywhere…Big Lots, thrift shops, vintage shops, Michael’s, etc. Wherever I find one I like, I grab it. You know, they have huge lots of buttons for sale in the student store at FIDM in Los Angeles. That’s where I get mine. You can get a huge bag of hundreds of left over buttons from their student projects for like $5.00!! It’s fabulous! Jennifer I like to use buttons in all sorts of ways. I have used buttons to make earrings, rings and charms for bracelets. I once used my buttons to make a center in a fabric yo yo which then became a flower. I know that there are so many other ways to use them. The button book would be a great reference. The only buttons I have are the ones that come extra on garments. I really wish I had my mom’s button tin. I played with those so much as a kid, and I bet there are some gems in there! I’d love the book! I have a tin from my grandmother filled with buttons. Plus I’ve added to the stash as buttons have crossed my path. I always cut off the buttons before throwing away old clothes, and since my grandmother used to to the same thing I inherited a big box full of vintage buttons from her. Button-swaps are also a great opportunity to find cool buttons. I remember my mother’s button tin as being special. Wisps of memory of sorting through it. The last buttons I bought were in Stockholm in November. We wondered into a charity shop where there were some creamy, buttery, coloured buttons just waiting for me to buy them. So I did! button collecting can be addicting (hello, my name is johanna and I am addicted to buttons). I have mine in vintage jars out in my craft room where I can look at them and take some out and touch them. I am often afraid to use them up – it would have to be something special! I have asked my Mum to leave her button box (tin really) to me when she dies!. My earliest memories in her sewing room are of sorting the buttons. I cannot leave buttons in the thrift store or clearance basket of the fabric stores and my favourite shop to be dragged to as a kid was Buttons and Bows. It is still in the same location, forty years later in Victoria ,BC. I LOVE buttons. I use them on everything! One time, I did a closet purge for all the old buttons on clothing to use for various projects and I’m just about ready to do it again. Buttons are lovely decorations that give a 3-D effect to elements in creations that I make. Just love BUTTONS! Oohhh! Must get this book! In the mean time, I have plans to start a crazy quilt and it occurs to me that vintage buttons would make excellent embellishments . . . off to go rifle through my buttons. Soooo, adorable are all the buttons and the ideas! I love to search high and low for buttons at estate sales and then display them in glass jars at home… YAY! Great book! Mostly I use buttons for the eyes of stuffies I make from re-purposed sweaters. I also like to find special ones to use for the clasp of a coin purse I make pillow case style. Finding them is a matter of luck and putting out the word! I love buttons. My grandmother had gallon jars of them under her window seal on a shelf when i was a child. I wish I had them all now. As a child, I remember one of my favorite things about my aunts house was her Ball jar of buttons. I loved to dump them out, group them by color or type and just generally fondle them. My grandmother (other side of the family) had a collection, too. Not a sewer (a knitter) by nature, I just love them. Is it possible there is a button gene? I just started my love affair with buttons, so I am super excited to read this book!!! Oh my I love this! I have been collecting buttons lately and trying to Rdecide what I should use them for! This book is awesome! Great button inspiration! Asia Industries is one of the leading rivet buttons manufacturers, suppliers and exporters in Delhi India. We are a renowned manufacturer and exporter of Chinese rivet button, rivet buttons for jeans etc.